Asia frontman gets by with help from his friends. 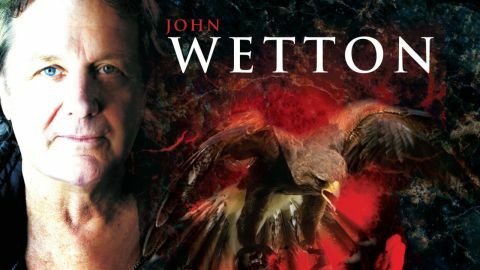 The sixth solo album John Wetton is heaven for trainspotter-types who digest the small-print on their albums. Besides enlisting Billy Sherwood of Yes/World Trade/Yoso fame as producer and key musical collaborator, the bassist/vocalist is joined by Robert Fripp, Eddie Jobson, Steve Hackett, Mick Box, former singer of The Gathering Anneke Van Giersbergen, Asia band-mate Geoffrey Downes and more on a collection of tunes that show Wetton’s skill at writing hook-laden commercial hard rock songs without sacrificing a passion for the grandiose. As pristine, vocal-heavy slices of pomp-rock, the likes of The Last Night Of My Life and We Stay Together dwell more upon Wetton’s membership of Asia than a past tenure with King Crimson, but there’s no mistaking, nor indeed resisting, this album’s weighty ambitions.